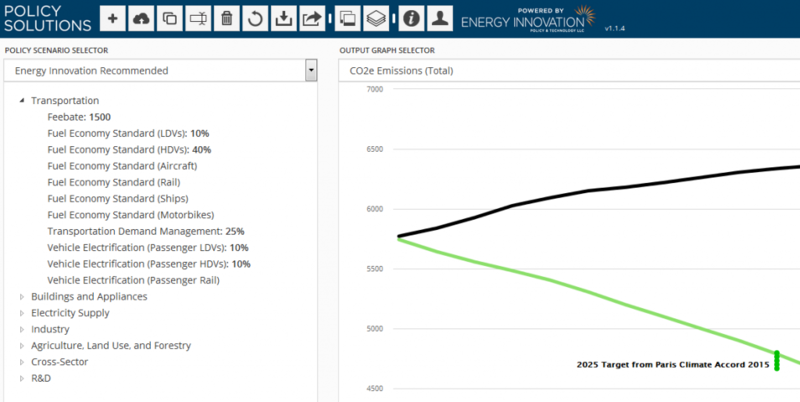 Energy Innovation has a cool new simulator that lets users explore what it takes to achieve energy and emissions targets, in detail. The simulator is online with a custom HTML5 interface that runs a Vensim model on servers using the Multicontext shared library. The interface was developed by Todd Fincannon. 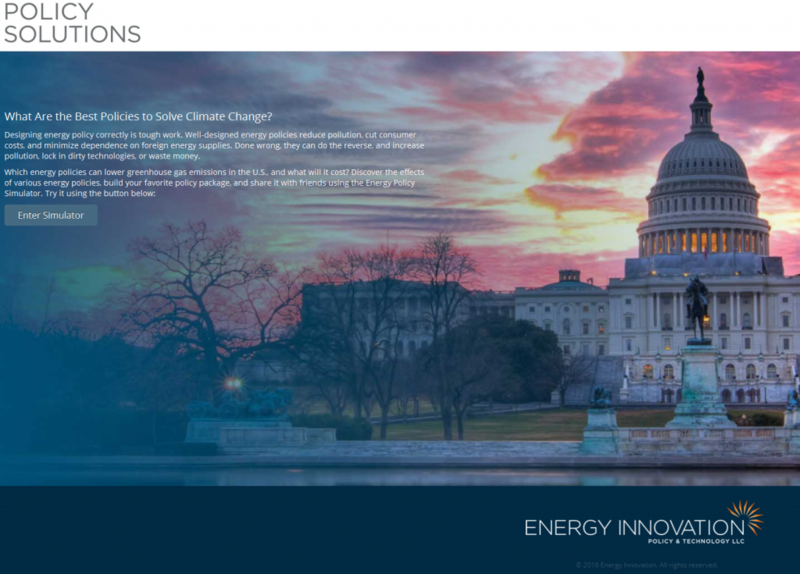 It has extensive documentation, and the Policy Design Guide explains many energy system policies in the internally consistent framework that a model provides.